Darfur lawyer Salah Adam has claimed that he was subjected to torture in the cells of the National Intelligence and Security Service (NISS) in the South Darfur capital of Nyala, causing him to lapse into amnesia. On Wednesday, Adam, who was arrested in February, was speaking at a press conference organised by Darfuri activists in Khartoum about Darfuri political detainees and prisoners of war. He said that he spent five days in under torture in the security cells of Nyala until he collapsed and lost his memory before he was moved to the infamous NISS premises “near the Shendi bus station” in Khartoum North. He demanded that Colonel Ibrahim Taha, the deputy director of the security apparatus of South Darfur to be brought to justice for torture and others and his refusal to let him be medically treated. Adam added that he was jailed with the Darfuri students who had been detained from El Doroshab area on January 4, and taken to “Shendi bus station”, known as the “the refrigerators detention centre”. He pointed out that the eight students were chained and subjected to all kinds of torture and abuse to the extent they were scared of him even though introduced himself and assured them that he was from Darfur. The African Commission for Human and Peoples’ Rights (ACHPR) 64th Session on and will be held in Sharm El-Sheikh, Egypt. The host country’s embassies in Khartoum and Kampala refused to grant four Sudanese lawyers entry visas to participate: 1- Abdelrahman Mohamed Al Gasim /Kampala 2- Awad Basha Omer Kortikaila / Khartoum 3- Saeed Abdullah Sudan hubilla/ Khartoum 4- Nasreldein Musa Gomna Idris/ Khartoum This behavior has never happened at any previous session, all host countries are working hard to facilitate the travel of all participants. This week I am attending the 64 session of the African Commission on Human and Peoples’ Rights (#ACHPR64). A great number of defenders were unable to join us because they weren’t allowed to travel, could not obtain a visa from the Egyptian authorities or decided not to come for fear of reprisals. We have received more than 60 alleged cases of thiskind! This is not right!!! Human rights defenders should be able to participate in public life and to travel and participate in international meetings with international and regional organisations. These are rights enshrined in the UN Declaration on Human Rights Defenders. Abdelbasit Mohamed Yahia is a lawyer and human rights activist still detained despite military council’s assurance that all detainees would be released. Sudan's professionals (teachers, lawyers, doctors, etc.) were at the very heart of protests, but the men in uniform remain the kingmakers. Following the announcement of the ousting of Sudan’s President Omar Al Bashir and the Defence Minister, Ahmed Awad Ibn Auf, assuming leadership of the country, the International Bar Association’s Human Rights Institute (IBAHRI) calls on the army and transitional government to ensure respect for human rights and the rule of law in Sudan. In December 2018, increased prices on fuel, bread and medicine, as well as limits on cash withdrawals, sparked ongoing protests across Sudan. These protests intensified on 6 April 2019 when thousands of protesters gathered outside the residence of then President Al Bashir to demand his resignation. On 11 April 2019, the Defence Minister, General Ibn Ouf, announced that President Al Bashir had been removed from power and that the army would oversee a two-year transition period until elections take place. During the December protests, excessive force by the National Intelligence and Security Service, other security forces and police led to the deaths of at least 38 people. Persons connected to demonstrations were arrested and detained, with some reportedly tortured. Many of these detainees were denied access to lawyers, family members and possibly medical assistance. Many remain under detention either pending trial or having been convicted on tenuous charges for their actual or perceived participation in the protests. He reported this incident to many friends and human rights organizations such as Human Rigths Watch, Amnesty International and Defend Defenders. The Defend Defenders IT officer informed him that the account user’s profile was based in the UK, and he has more than 6,000 followers. Al Gasim did not take any action with respect to Twitter managers so the originator of the threat could still be traced, because if he did they were going to block him and he wanted to track him until he could be arrested. He felt seriously threatened and unsafe because they know his location. He received many calls via WhatsApp after this message but he did not respond to them and sought the assistance of the American Bar Association. Al Gasim is the 2018 American Bar Association (ABA) Human Rights Award recipient and an Honorary Fellow of the American Bar Foundation. He escaped from Sudan in March 2012 after being detained for 13 months at the NISS detention centre, and was facing more than 13 crimes against the state charges for his human rights activities, most of them punishable by death. The IBAHRI issued the following statement about his case on November 3, 2010: https://www.ibanet.org/Article/NewDetail.aspx?ArticleUid=a5c657cf-759a-4412-8bd5-95fe714be29f. He is the Protection and External Relations Secretary of the Darfur Bar Association. A friend of his in the UK was requested to make a formal complaint to the Metropolitan Police. Mohamed’s exact whereabouts are unknown. He has not been allowed contact with his family or lawyer. SHRI is particularly concerned that Mohamed may be at risk of torture. During his previous detention, he was personally summoned by the Director General of Sudan’s National Security and Intelligence Services (NISS), Salah Gosh. 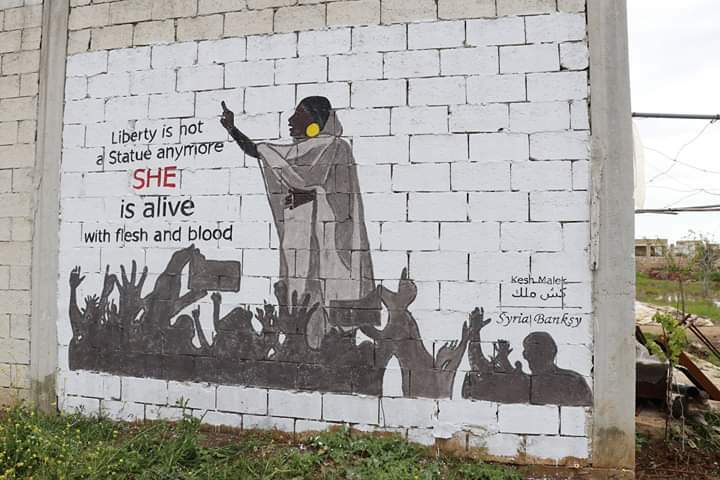 Gosh accused Mohamed , along with 8 other activists, of having initiated and led the protests that have been ongoing in Sudan since December 2018. In an attempt to crackdown on demonstrations, scores of known activists have been arrested by NISS, regardless of their actual involvement in the protests. The unfounded accusation by NISS’s most senior officer, that Mohamed has taken a leading role in these protests, puts his security in detention at high risk. Mohamed suffers from poor health, including heart disease, high blood pressure and asthma. His health deteriorated considerably during his previous detention, where he was denied access to medical treatment for almost 3 months. The release and almost immediate re-arrest of a targeted activist is a known NISS strategy, allowing them to prolong detention and deflect international pressure to release activists. It places considerable mental stress to detainees and their families. Mohamed Yosiaf Mohamed Abdalrahan is a human rights lawyer, who has worked tirelessly to progress freedom of religion and belief in Sudan. He was previously an activist with the Sudanese Human Rights Initiative (SHRI), where he provided legal aid and worked on human rights monitoring and advocacy. Abdalrahan was a leading member of the Sudanese civil society delegation that attended the UN Human Rights Council in Geneva, in 2018. The National Intelligence and Secretary Service (NISS) has arrested Salahdeen Adam Alnour a lawyer in Nyala, South Darfur State. The arrest came after a sit-in organized by lawyers in Nyala on January 9 in response to the ongoing protests and state repression in Sudan. Since that time the NISS was looking for him until they arrested him on January 28. The National Intelligence and Security Services (NISS) arrested Taha Osman Ishaq, a Sudanese lawyer in Khartoum, after his participation in sit-in organized by Alliance of Democratic Lawyers( independent lawyers group) before the Supreme Court to hand over a memorandum to the Justice in Chief regarding the grave violations against demonstrators, arbitrary arrest, torture and extrajudicial killings , on Tuesday, February 5 .